Home >> Updates >> More Updates! I don’t know how late this was but LOOK! We’ve reached our goal of $122.54! *insert fanfare here* Thanks so much to Keziah!!! 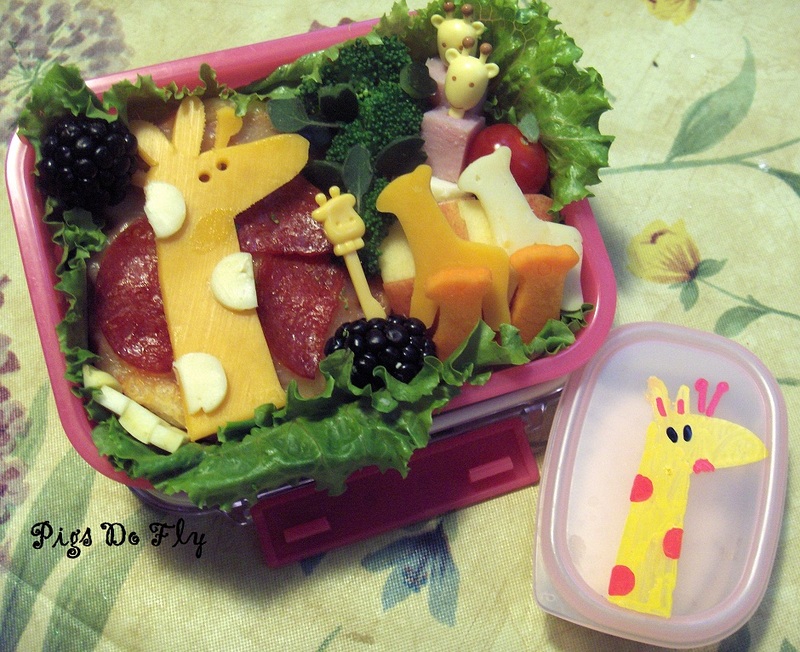 Here’s a cute giraffe bento, made out of cheese apparently. And yes… apparently pigs do fly XD And look like giraffes for some very odd reasons I cannot fathom. Which page can’t you open?